RecentX is a launcher designed to make your computing life joyful. It is stuffed with innovative ways of accessing your stuff on your Windows PC with lightning speed. 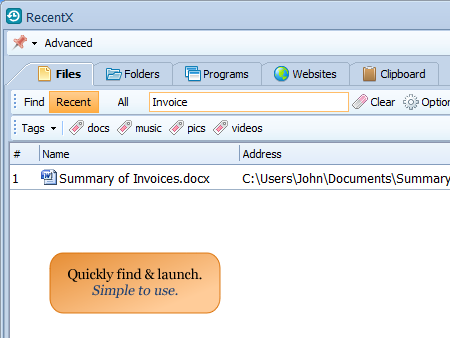 With RecentX, you can access any file, folder, program, or website in about 2-7 seconds. It may be anywhere on your computer. This way, you will achieve more in a day with less physical stress. 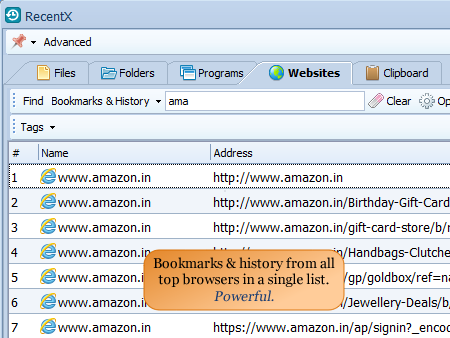 RecentX automatically remembers & shows your recent & favorite items first. 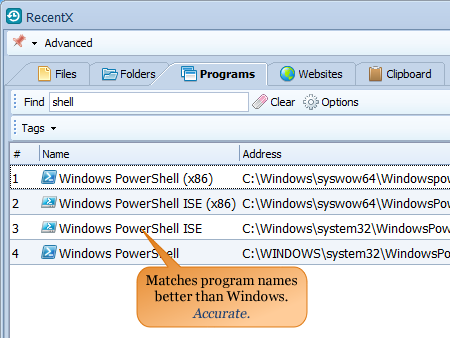 This makes launching lot quicker than any other file search utility. Your best items are searched faster than other less important stuff. 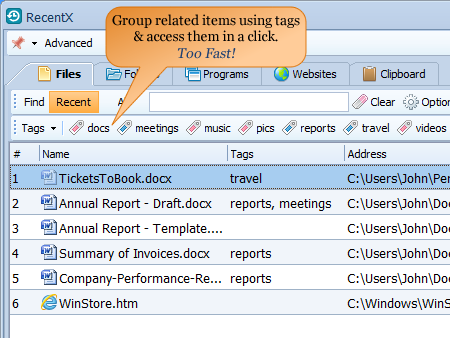 Plus, RecentX also has an in-built clipboard manager. It keeps history of all the text & images that you copy to clipboard. It will save you from several repetitive tasks of copying/pasting and accidental deleting of important text from an email, document etc.